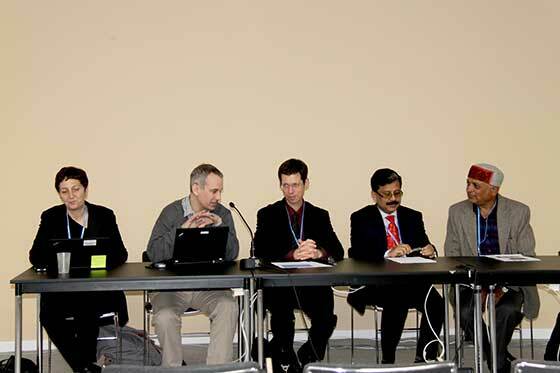 Experts from the HKH region discussed efforts to integrate air pollution and climate change mitigation activities in Asia during a side event organised by the Institute for Global Environmental Strategies (IGES), Japan at the ongoing UNFCCC COP21 Climate Change Conference in Paris. The 3 December event ‘Making an Integrated Approach to Air Pollution and Climate Change a Reality in Asia’ took place at the Japan Pavilion, and included experts from Climate and Clean Air Coalition (CCAC), Institute for Advanced Sustainability Studies (IASS), International Centre for Integrated Mountain Development (ICIMOD), IGES, and Ministry of Environment, Bangladesh. Many climate change actions reduce greenhouse gases (GHGs) (such as carbon dioxide (CO2)) and curb air pollution. Mitigating some air pollutants, known as short-lived climate pollutants (SLCPs), can also help limit near-term climate change. The growing awareness of air-climate linkages underlines the need for policymakers to take more integrated approaches to climate change and air pollution policies. The benefits of doing so promise to be particularly significant in Asia. The side event highlighted the activities of initiatives such as Asia Pacific Clean Air Partnership (APCAP) that aims to equip policymakers with the knowledge and skills to make integrated approaches to climate change and air pollution a reality in Asia. 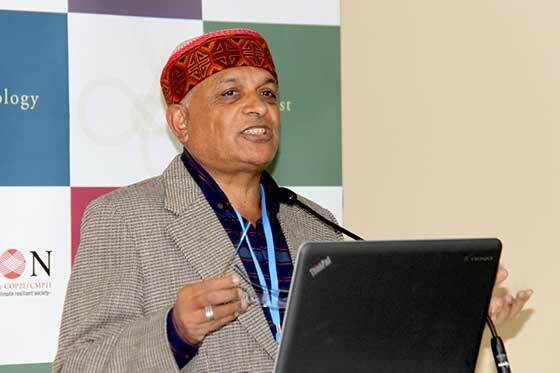 Speaking at the panel, Dr Eklabya Sharma, Director of Programme Operations at ICIMOD, highlighted major issues and their far reaching consequences such as melting of cryosphere partly caused by black carbon deposition, changing monsoon patterns impacting agriculture, increasing urban air pollution impacting health, regional haze over the Indo-Gangetic Plain impacting people’s lives and tourism in winter. His presentation also touched upon the summary of research that ICIMOD is conducting to understand the linkages between air quality and climate change in Asia, and how that research is envisaged to promote action on the ground. Sharma also highlighted ICIMOD’s efforts in establishing observatories in Bhutan and Nepal — including networking with China and India — for better transboundary monitoring of air pollutants, including black carbon. ‘The science evidence generated through long term monitoring shall help in policy formulation in the region’, Sharma said. Participating partners have agreed to work cohesively in the region and in close cooperation with CCAC. Martina Otto from CCAC said action on SLCPs can feed into clean air and climate policies, which also contributes to the achievement of several Sustainable Development Goals (SDGs). Dr Eric Zusman from IGES said the coalition would further awareness in all sections of the society.